Home Made Composites is a web portal for all handymen and handywomen who want to work with composites at home. The main objective is to bring composites closer to the broad public. On the Internet, you can find a lot of information about composites, but it is mainly written for industrial professionals and academic researchers. For hobbyists and interested handymen and handywomen, it is very difficult to get hands-on information about working with composites. This website wants to bridge this gap. 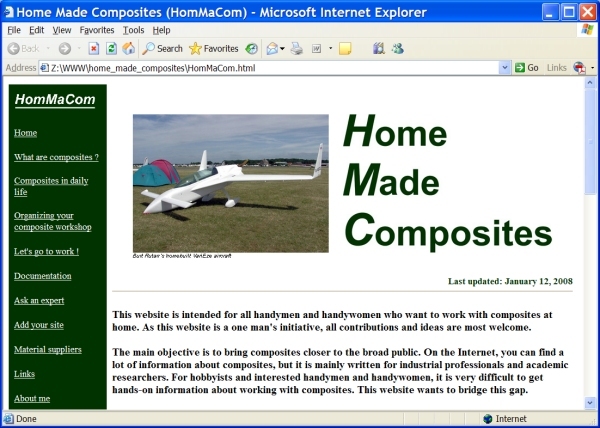 Visit the Home Made Composites website.